This entry was posted on November 7, 2013 by LemonCitrusTree. Meyer Lemon trees are small and can be kept as a houseplant in a container. Meyer Lemon harvesting season stretches from November to April, so the fruit is available for the holidays. The Meyer Lemon became very popular with people like Alice Waters and Martha Stewart advocating their use and using Meyer Lemons in many of their recipes. Discovering ways to use the Meyer Lemon is less of a challenge than actually finding the Meyer lemon in your neighborhood grocery store. For those who live far from a citrus-growing region finding Meyer Lemons is a difficult task, growing your own tree is must for all those who love it! At maturity, the yellow fruit's ornamental beauty in potted plants has a host of many decorative ideas. The tree itself is a wonderful addition to your home or landscape but also the harvested fruit can be used in decorations such as a festive mantel garland around your fireplace, centerpiece with Meyer Lemons on your dining table in a decorative bowl or as a wreath with Meyer Lemons on your door. The beauty of the Meyer Lemon will impress your guests as the smell of citrus fills your home with freshness! The Meyer Lemon is truly a marvel when it comes to your health! It’s packed full of Vitamin C, antioxidants and is a good source for potassium. It’s antioxidant propertie s nourish your skin while reducing scarring, and it's antiseptic properties are effective in clearing up acne. To treat your acne and/or scarring, you need to rinse your face with warm water. It is advisable that you use water that is warm enough to open up your pores, you can also use steam. 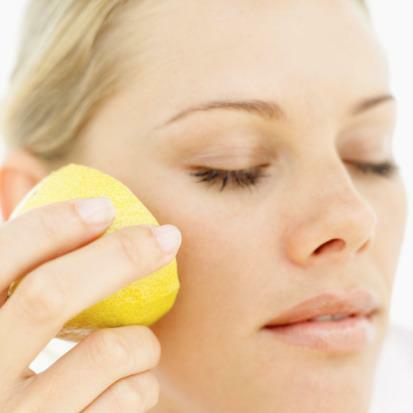 Apply the freshly squeezed juice of a Meyer Lemon to a cotton ball, then apply the juice directly to your face. Allow the juice to dry then apply the juice again. Leave the juice on your face for 30 minutes. Then wash your face with a mild soap and rinse well with warm water then finish with a cool rinse of clean water. You can do this treatment daily. It is very effective because the acid in the juice helps slough off dead skin cells while helping new cell growth. It removes excess oils and kills the bacteria that cause acne. Meyer Lemons are a great disinfectant for cuts or scrapes to soothe poison ivy, just apply a freshly cut slice directly to the affected area. The Meyer Lemon kills the virus that causes warts! Buying products to remove warts at the drugstore is a waste of money, those treatments are usually ineffective. To remove any wart; add equal parts of Meyer Lemon juice and clove oil to a small container. Please be careful not to get this mixture into your eyes or mouth, it will burn. Applying this mixture directly to the wart will gently remove any wart with daily application over the course of a week or two, depending on the severity of the wart. Be very careful while applying, only apply to the actual wart’ you wouldn’t want to get this on your unaffected skin because it can (and will) cause irritation. The wart removing mixture should be stored in the refrigerator when not in use. You can also use the mixture to remove corns and callouses. In the event of chill or fever, Meyer Lemon juice in water helps to relieve symptoms of colds and flu, helping purify the blood eliminating toxins from the body and reduces phlegm. The Meyer Lemon has a calming effect and help relieves anxiety and tension. The Meyer Lemon also aids in clearing up infections in the kidney and urinary tract. The antibacterial and antiviral properties of the Meyer Lemon accelerates the healing process. Making a lemonade tea out of the Meyer Lemon, using freshly squeezed juice along with raw honey (instead of sugar) will help clear up many ailments. Drink the tea warm to aid in the absorption. 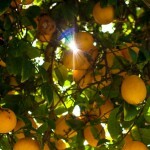 There are many practical uses for Meyer Lemons around the house from removing odors in your home to refrigerator odors. Rubbing a slice of Meyer Lemon all over your dull pots, pans and coffee pot will make them sparkle. Also doing this for your cutting board will kill germs by sanitizing it. Adding Meyer Lemon juice to your laundry will help to kill any mildew and make your whites whiter. Roaches and fleas hate the smell of Meyer Lemons! So use in your kitchen often as an insect repellent, adding to mop water or using the juice on window sills and baseboards. Mix Meyer Lemon juice and water in a microwave-safe bowl and microwave on high for 5-10 minutes, allowing the steam to condense on the inside walls and ceiling of the microwave. 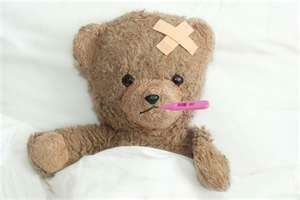 Then just wipe away; it cuts cleaning time and disinfects. Save the lemon peels for your garbage disposal too, cuts down on odors by eating away the gunk that builds up over time and by doing so it prevents drain fly infestations. There are so many wonderful uses for the Meyer Lemon Tree that it’s no wonder that it’s gained a reputation of being one of the best dwarf citrus trees you can grow, indoors or out! If you would like to learn more about the wonderful use of the Meyer Lemon then please join our mailing list below. You will receive periodic newsletters with special discounts, decorating ideas, recipes, tree care suggestions and more!